(Natural News) Fitness trackers are all the rage these days. For many people, they serve as a reminder to be more active and may be a tool for encouragement and tracking improvement — but as is often the case, they are not risk-free. Many people have unfortunately learned this lesson the hard way. 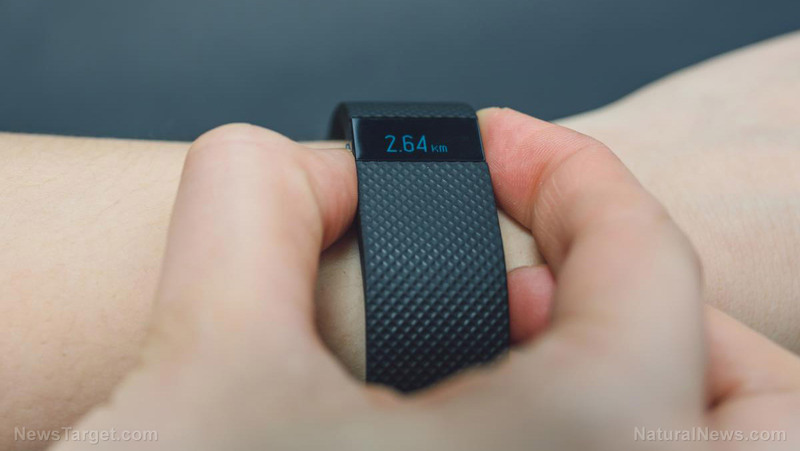 While it’s hard to believe that such a small device could have disastrous health effects, there have been a number of reports regarding the adverse effects of fitness trackers. Is any technology actually safe these days? Reports on fitness trackers and their hazards range from users being (literally) shocked by their devices to claims that users are actually healthier without them. Indeed, it seems that there are any number of things that can go wrong with wearing a tracking device on your wrist. CBS2 reports that several Fitbit users have literally been shocked by the device while wearing it on their wrists. One father, Chris Nelson, says he was putting his three-year-old daughter to bed, when a painful surge from his Fitbit Charge 2 shot up his arm. The shock reportedly caused him to drop his child. “It was clearly an electric shock,” Nelson told reporters at CBS2. “The best I can figure, I was just shocked by the connector that was on my wrist,” he added. Nelson said the jolt left a painful lump on his wrist, and caused his hand to go completely numb temporarily. Nelson isn’t alone; reports suggest that many other users have experienced similar fates. Lauren Reiss, an active mom, says two different Fitbit gadgets gave her an electric shock. Reiss says one of the devices left a lasting burn mark, which she says matches up perfectly to where it was worn. Unsurprisingly, Fitbit blames these painful shocks on static electricity rather than a faulty product. How much static does it take to produce burn marks? The cons of wearable fitness trackers do not end with the possibility of getting an electric shock (though, that certainly is quite the deterrent). One of the top concerns about wearing a wireless fitness tracker is, of course, the exposure to EMF radiation. Cell phones are often the primary target of such health concerns — but really, any wireless device can pose a health risk. Recent research has indicated that EMF radiation can cause cancer and other adverse effects. So while fitness trackers are intended to support your health-seeking endeavors, they may actually be making you sicker. Studies have also shown that fitness trackers can ultimately become more like a tiny, fitness tyrant users wear on their wrists. Data shows that while women may be more active and make “healthier” choices while wearing their tracking wristbands, they also had a spike in negative feelings about themselves and the device. For example, almost half of the women surveyed said that they felt that completing activities when not wearing the device was a “waste,” and that they felt “naked” without their Fitbit. Perhaps more alarming, however, was the fact that 59 percent of women felt their daily routine was controlled by their fitness tracker. Inviting this kind of technology into our lives paves the way for it to takeover completely — and it’s clear that wearable tech influences the way people feel and behave. Overall, it seems fitness trackers pose a health risk to both your physical body as well as your mental state. Learn more about the latest controversies in tech at Glitch.news.